Welcome to Eland Cables, your global supplier of cables and cable accessories. Our cable solutions are based on technical expertise and an uncompromising approach to quality and customer service. 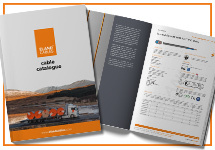 Our cable product guide is the ultimate reference tool for electrical cables used worldwide. It is the cable industry resource for buyers, engineers, specifiers and consultants. 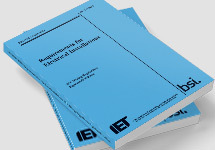 The guide's in-depth technical specifications and comprehensive product datasheets enable you to quickly identify the exact cables you need. Watch our intro video to get a taste of who we are, what we do, and how we operate. You'll see where we test our cables, and learn more about the 'Eland Experience' and how it makes a difference to you, our customers. Our brand new industry-leading product catalogue featuring hundreds of different cable types is coming soon. Email us now to reserve your copy. The Cable Lab® is our in-house specialist cable testing facility, staffed with technical experts able to provide support throughout your project. They maintain a rigorous quality assurance testing programme to ensure compliance and that the highest standards are maintained. Our technical experts are available for in-depth support via our Technical Hotline. UKAS accredited to ISO17025, our cable testing laboratory offers a wide range of third-party cable testing and inspection services, providing impartial analysis of cable from any source. We also hold the BSI RoHS Trusted Kitemark, underlining our commitment to compliance. As of 1st July 2017 we are CPR compliant, with all relevant cables classified according to how they react in the event of fire. Use our online product quotation service and receive a response within 3 hours. Include as many products as you want in a single request by adding them to your FastQuote basket before submission. 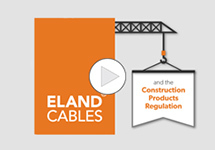 Eland Cables plays a key role in delivering cable solutions around the world, across a breadth of industries. We're proud to work with leading organisations supporting their landmark projects. With the 18th Ed. BS7671 Wiring Regulations now mandatory we sent some of our commercial team to sit formal qualifications.